You are hereby invited to an epic evening in the spirit of Nordic folk music! 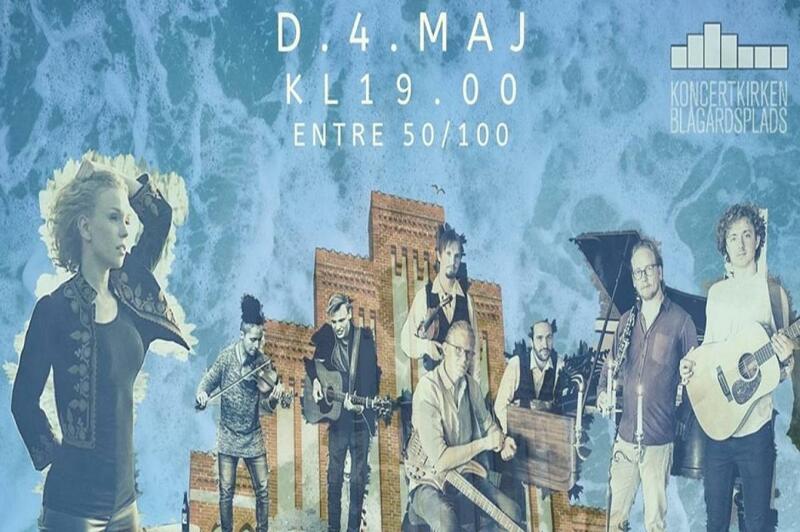 Not only will the brand new Nordic folk orchestra VÍÍK play their first public concert ever; The Danish folk-band Mads Hansens Kapel Will play and release their debut album and if it wasn't enough we can also announce that Duo Beerten/Finsson will join the shenanigans. Interest for Scandinavian cultural heritage is growing in Denmark, and we’re celebrating that with a big old folkparty! You can expect new Nordic folk music, and new arrangements of old Nordic folk music, horrible bloody stories, lots of laughs and a sizeable portion fun and dance. We hope you want to join us, and whether you are new to folkmusic or and old expert we’ll have something for you! The Copenhagen based sextet, fronted by Norwegian folk singer Elisabeth Vik, saw the light of day December 2018 when they released their first two singles ‘Margit Hjukse’ and ‘Grisilla og Kong Ridder’: Two Norwegian medieval ballads with a new groovy flavour. This coming summer they will be appearing at different music festivals, and they kick it off with their debut at this very special evening full of new music in the spirit of folk music! Mads Hansens Kapel is a young, energetic Danish folk orchestra, that is a welcome addition to an already blooming Scandinavian folk music environment. They specialize in Danish traditional Music, and add a moden dimension to The Music, that has engaged a wide audience. Following a wide array of concerts all over Denmark and in several European countries, they are now ready with their first full lenght album, and are going on a DK release Tour in May which this concert is a part of. Read more Hide full description.